I’m not a fan of Kristen Stewart but I am fan of action. I’m not a fan of Snow White but I am a fan of adventure. And the trailer just caught my interest. Last Tuesday, I was able to watched the movie and nevertheless it is worth it. 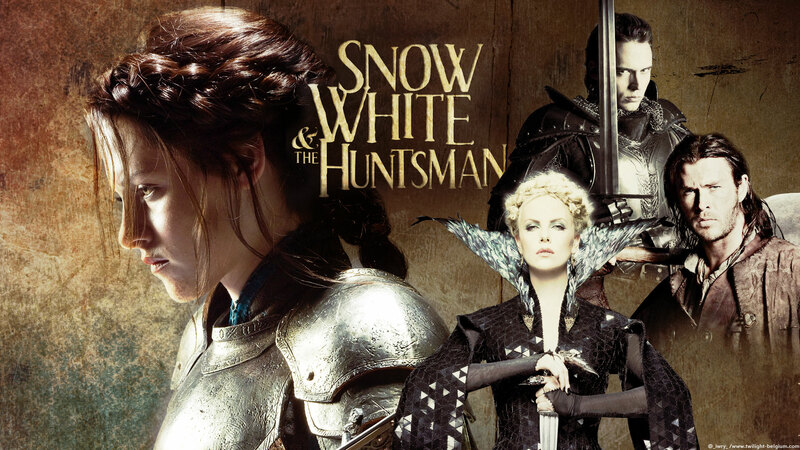 Huntsman is a fearless protector and Snow White is a kind brave princess that a palace could be proud of. Not only drama and action but the movie brought a little comedy, the scene where they met the dwarfs. I also remember the movie Alice in wonderland when they reach the secret paradise in where the dwarfs live. Ravenna is a courageous evil indeed. I don’t know why Kristen Stewart hit the Hollywood but I’m not convinced on how she act, even in Twilight tho I admit there are some scene that she really made it well. And what I like about her is how she shows intimacy in a kissing scene. Oh well. I haven’t seen Thor’s movie but I saw Avengers. Chris Hemsworth is cool and he played the Huntsman’s role very well besides Chris is a beautiful man. That’s all for today. Boston and Miami’s game is starting. Good Luck for both teams. Have a great Sunday and weekend all. ← Because is a word that counts what to ponder …. Have a beautiful Sunday Shira. Regards !!! Hi Gelai. I’d say, you must watch this movie. Liam and Miley are cute together, aren’t they?